Iran will handover the strategic Chabahar port to Indian company within a month for operation as per an interim pact, Iranian Minister of Roads and Urban Development Abbas Akhoundi said Thursday. Akhoundi is in India to participate in the Mobility Summit by NITI Aaayog on the invitation of India government. "Now, we are ready just to hand over the port (Chabahar) to the Indian company just to operate this in interim agreement that already we had with Indian part for one and a half year," Akhoundi told PTI here. Akhoundi after a meeting with his Indian counerpart Road Transport and Highways Minister Nitin Gadkari said: "We have already moved one step forward...We should introduce a banking channel to India, which we already did it and fortunately has been formally accepted by the Indian side".The Chabahar port in the Sistan-Balochistan province in the energy-rich nation's southern coast is easily accessible from India's western coast and is increasingly seen as a counter to Pakistan's Gwadar Port located at distance of around 80 kms from Chabahar. He said the India has also introduced a banking channel, which has been approved by Iran's Central Bank. "Indian side had investment in Chabahar port and we are moving towards utilisation of the Chabahar port," Akhoundi said, adding that the handing over of the port should be done "during one month. We have done everything". The Chabahar port is being considered as a gateway to golden opportunities for trade by India, Iran and Afghanistan with central Asian countries, besides ramping up trade among the three countries in the wake of Pakistan denying transit access to New Delhi. "The routes of the region should be connected on land, sea and air," Rouhani had said at the inauguration ceremony. 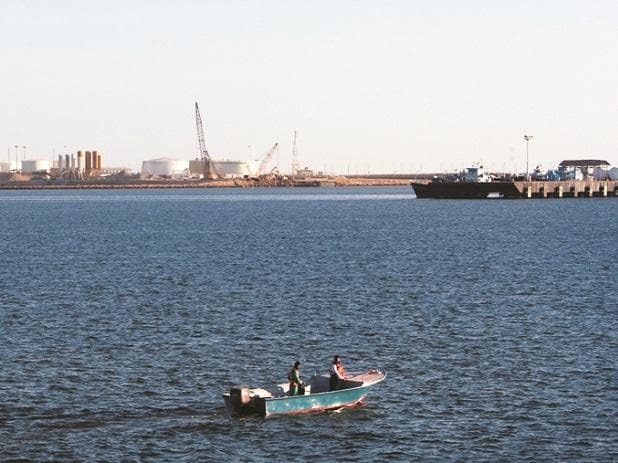 Under the agreement signed between India and Iran earlier, India is to equip and operate two berths in Chabahar Port Phase-I with capital investment of USD 85.21 million and annual revenue expenditure of USD 22.95 million on a 10-year lease. On US sanctions impacting oil trade, the visiting minister hoped to find a way out to continue selling crude oil to India. "Of course, it will impact the trade between the two countries," Akhoundi said, adding the sanctions would not halt oil sale to India. "At the end of the day, both sides will find out some way out to carry on their relationship as we hear from the Indian part that they are already committed to buy the crude oil and we are also committed to continue our trade relationship with India and buy rice and other food material and also industrial material from the Indian side". Iran is India's third biggest supplier of crude oil but US sanctions will from November 3 block payment gateways. "There has been some impact... I will just not say something that is not realistic ...Certainly US has made the trade between the two sides uneasy but I would like to emphasise that this is not something that US can halt and stop this relationship between two sides," Akhoundi added. He said Iran welcomes Indian firms developing the giant Farzad-B gas field in the Persian Gulf nation. "Indian side is very keen to invest there. We are still to receive the project proposal," he said. On his meeting with Gadkari, the Iranian Minister said: "We reviewed the formal statement which was released by Prime Minister Modi during visit of Mr Ruhani to India. That statement is very very strong which shows that ... we have very deep relationship". He said the thing that was emphasised in the meeting was that India is very committed to all the agreements that India has signed.